When selecting a material for interior or exterior design, some customers prefer only natural stone. Are there good reasons for choosing to use natural stone? If so what are they? It goes without saying that individuals prefer various materials when it comes to interior & exterior design choices. In fact, as a fabricator, your customers may prefer to use natural stone for a number of reasons. And, they may not realize that they prefer natural stone until they learn about some of the benefits that come from using it. In this post, we will take a look at some good reasons that your customers might choose natural stone. The visual appeal of natural stone is a common reason that your customers may prefer natural stone. Some individuals have a preference for uniqueness or a one-of-a-kind look and feel. This is definitely a quality that natural stone offers. Each slab of stone is completely different every other slab. If your customer is seeking something “original” or “different”, they will be enthusiastic about natural stone. In addition to the visual appeal of natural stone, shoppers or homeowners select natural stone because of its durability. The rugged strength of natural stone is proven by its age. 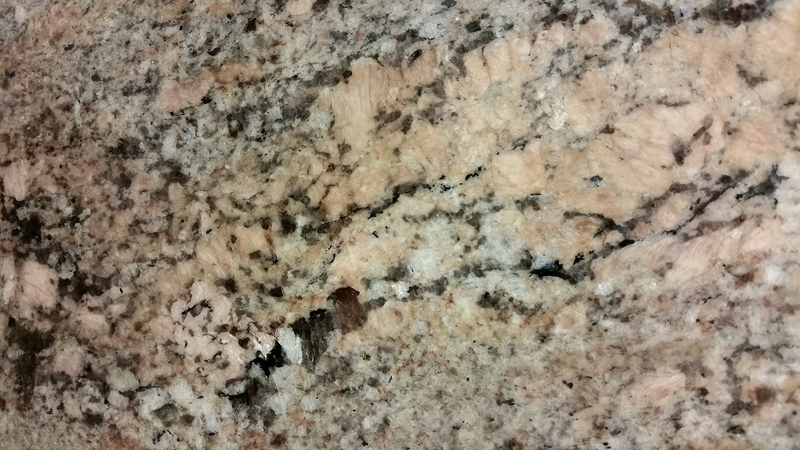 A slab of granite is older than many generations of humans. And even though it may show some character from the tests of its strength, it is by no means weak. In fact the strength and hardness of natural stone will determine what you use to polish it. For example some stone types may require a polishing pad designed for hard stone because it is so durable. Some kinds of natural stone may be better suited for some uses than others, but each type offers longevity. Natural stone buyers also make the decision to use natural stone because of its value. In this context, “value” is measured by more than just the price that is on the sticker. When considering the durability we just discussed, it highlights a key point when contemplating value. The key point is this; the longer something lasts, the more it is worth. And since natural stone is very durable, it is also valuable. In the previous section of this article we said, “a slab of granite is older than many generations of humans.” The reality is that even after natural stone is installed, it will last that long. Yes, the value of natural stone is very high when you consider the more than just its price. Natural stone is also versatile in many ways. For example, natural stone can be used in formal designs, rustic designs, and modern design styles. So, stylistically natural stone is versatile. Another aspect of natural stone’s versatility is its uses. Since there are so many variations it is organically versatile. Because natural stone comes in a variety of stone types with various hardness, colors, and patterns, it can be used in many settings. Even after selecting a natural stone material you can give it a particular finish. For example, there are polishing pads for honing granite and polishing marble. And that is just one example of adding variations to an already diverse material selection. Finally, natural stone is ubiquitous and readily available. As of the time of this post, a Google search for “natural stone slabs” yields 554,000 results. No matter where you go on earth you can find beautiful rock formations that consist of natural stone. The variety and diversity of it is unparalleled by other hard surface materials. So, even though natural stone is not the right selection for everyone, it does make the most sense for many uses.